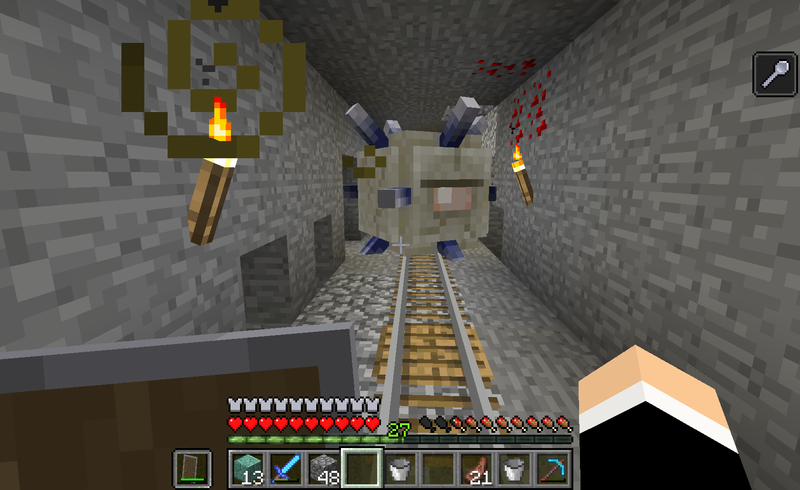 Edit by Alex/comic: Split these posts from the General Minecraft Screenshots Topic. 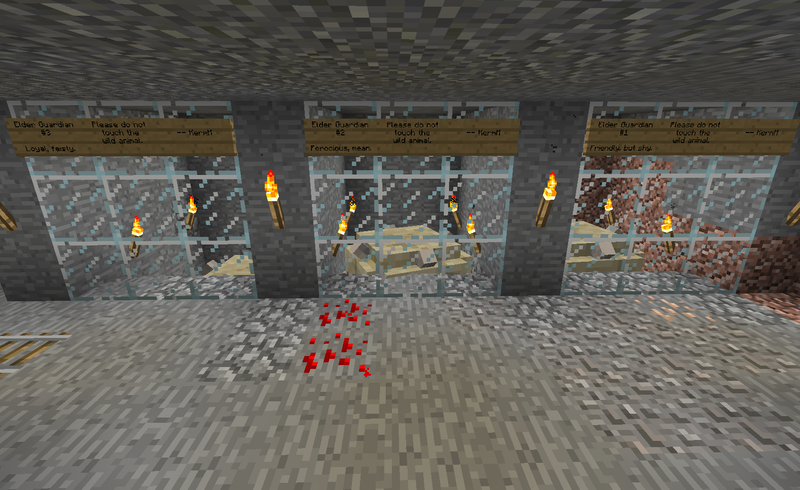 Please post all Cemetech 1.9 Server Screenshots here! 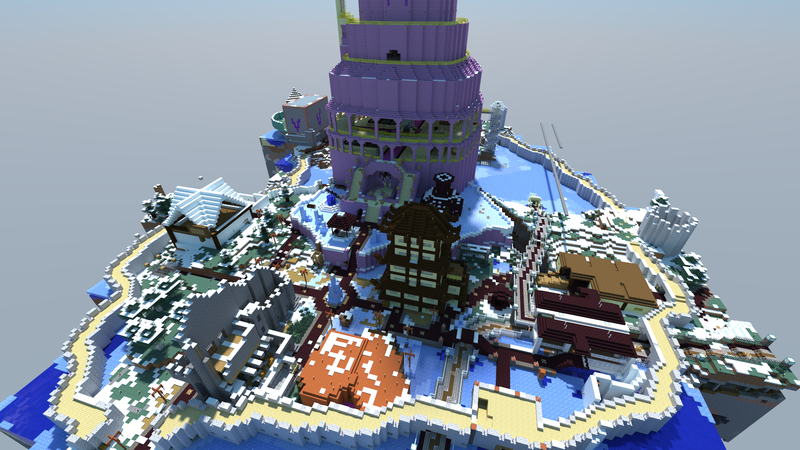 Some screenshots from our Minecraft 1.9 server! Caution: I often run Minecraft at high resolution. You've been warned. 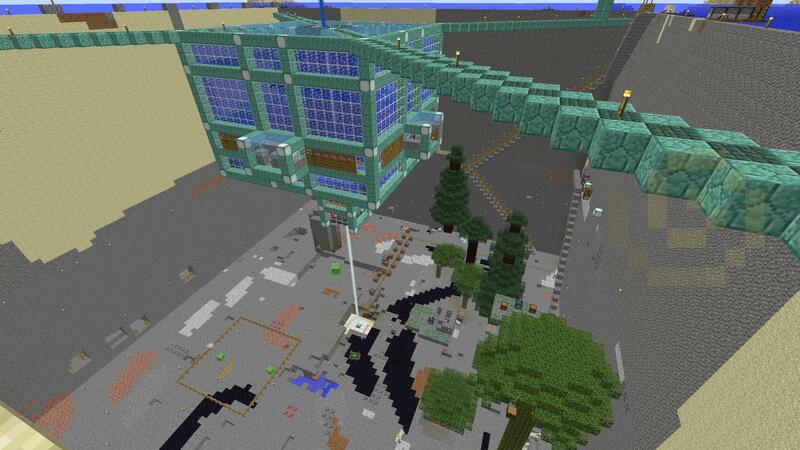 Nearly-completed spawn, in the daytime. Completed spawn, at night. You can't see the blimp, unfortunately. 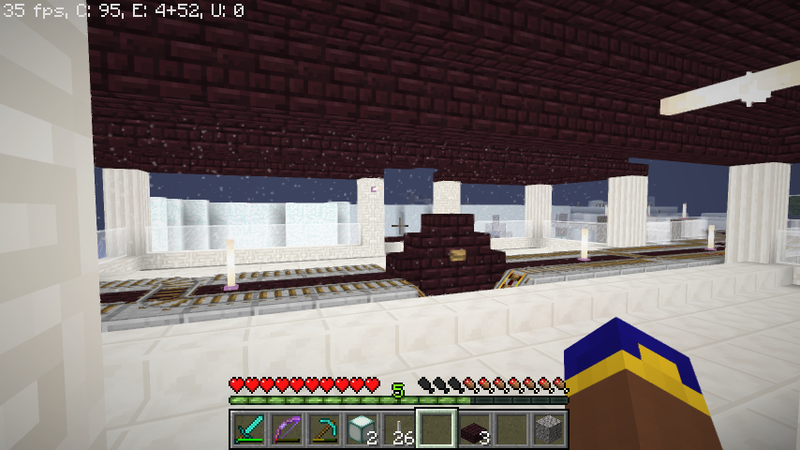 The server's first beacon, the result of much wither battling! It lies above my temporary base. 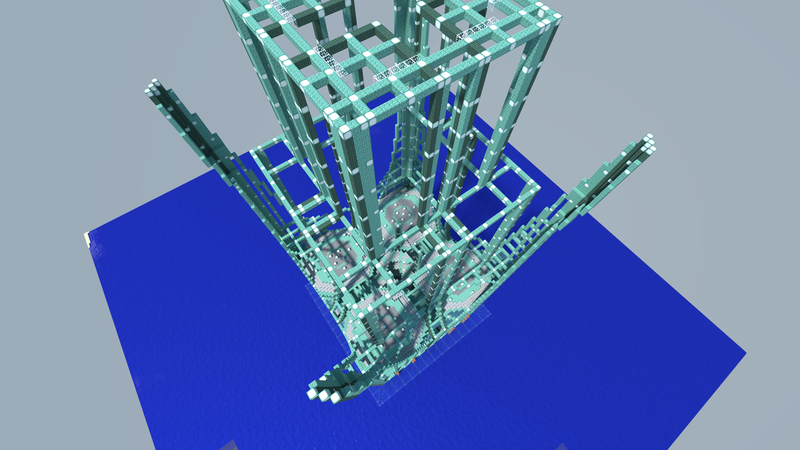 ...and the server's second beacon, next to my first. What is the point of trapping elder guardians? Do you need them to make a farm? There's no practical point to them, as the only real function they could be pressed into service for, a poor man's anti-griefing, is covered by Towny. However, there can only be three in the current map with its single Ocean Monument, and they don't respawn if killed, so they're a rarity. Their rareness is why I plan to keep and eventually display them. There's no practical point to them, as the only real function they could be pressed into service for, a poor man's anti-griefing, is covered by Towny. How do they prevent griefing? "Need another beacon? Ask monkey0x9! he sells beacons!" Accurate. In fact, I sell beacons in partnership with DrDnar, for only 3000d each. They give Mining Fatigue, which unless you have high Efficiency on your tools, essentially makes it impossible to break most blocks. 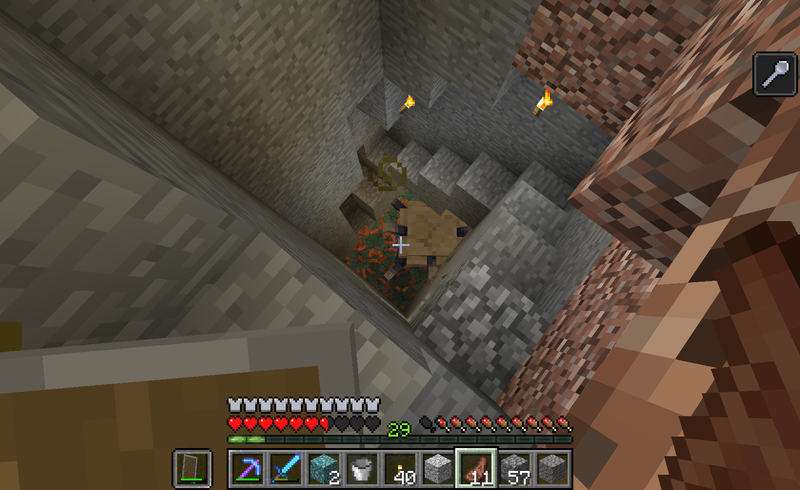 I finally finished digging out my foundation to Y=11, with absolutely massive help from tifreak8x and Pizzaboy, each of whom dug out about 9 plots, leaving about 7 for me. 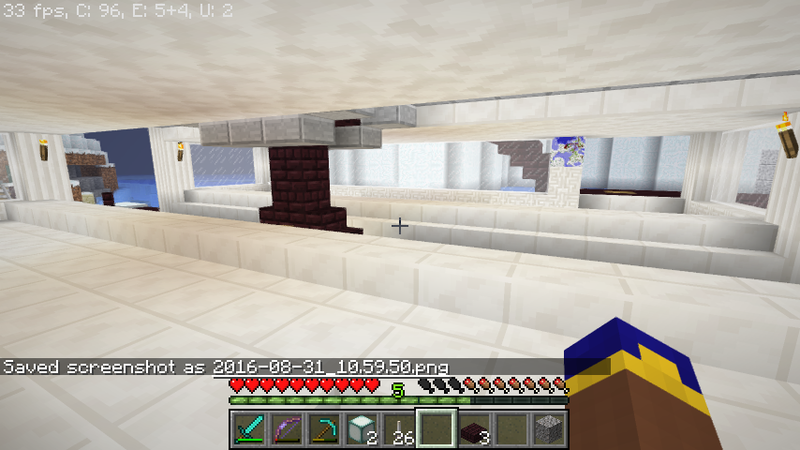 I might dig down to Y=8 to make room for a decorative floor, and I still need to clean up the non-stone materials in the inside walls, but the bulk of the work is done. For those who do not yet know, Optifine for Minecraft 1.9 or later has moderate Shader support built in. Here are a few screenshots I took. At night. Observe some minor texture blending. You can see it best when you look at the sugar cane in the background. 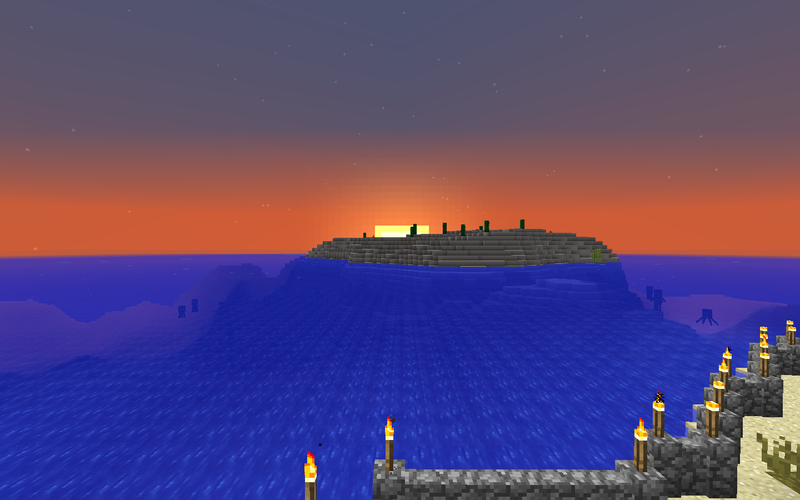 Screenshot taken at dawn. The sky is a result of the Dramatic Skies texture pack. Taken during the day. I wanted to capture how surfaces appear so much more reflective, but i dont think it shows that well. 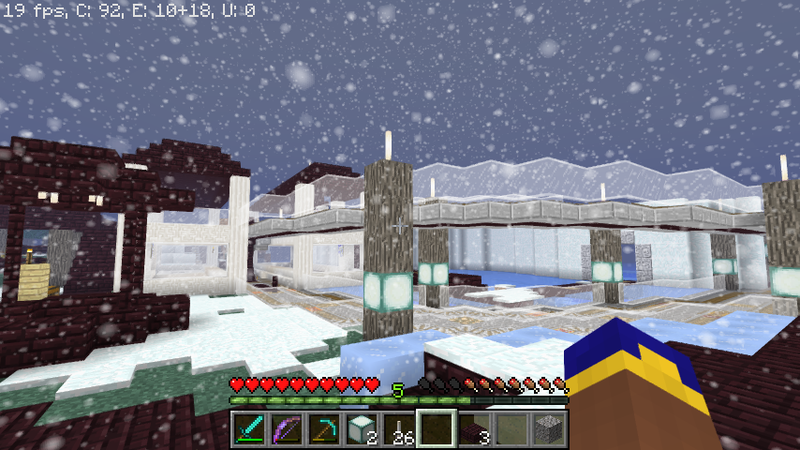 ps: both the Shaders mod and the Sky texture pack do screw with the lighting, creating some epic effects! 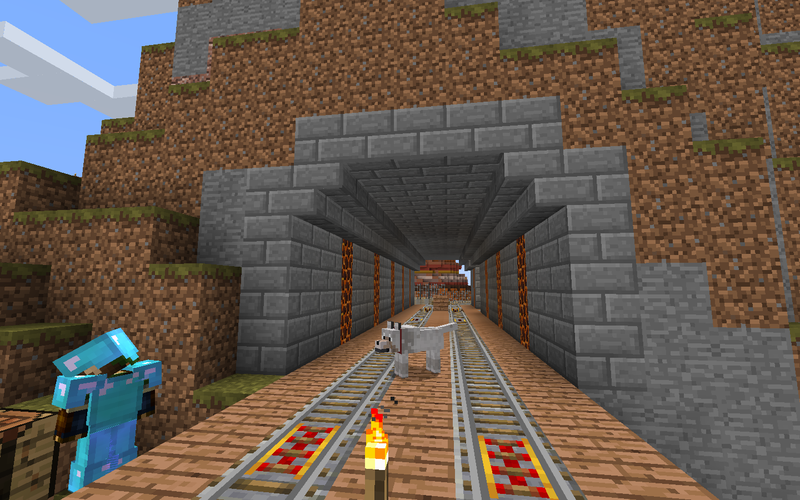 Thanks to some help from LittleMoonBeam, I finished the tunnel through my mountain on the cemetech server. To keep the discussion in one place, I delete the post from the Transportation Discussion thread. 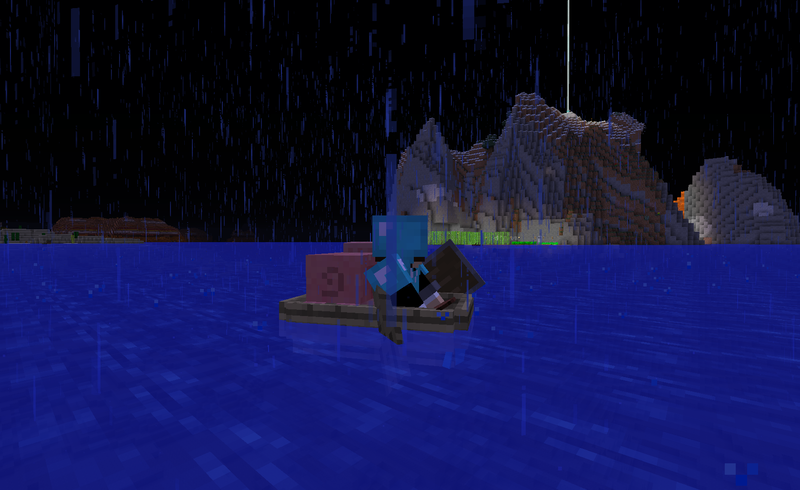 I also thought we had a screenshot thread for our 1.9 Server but I couldn't find it. Perhaps I should split this topic up and make it! 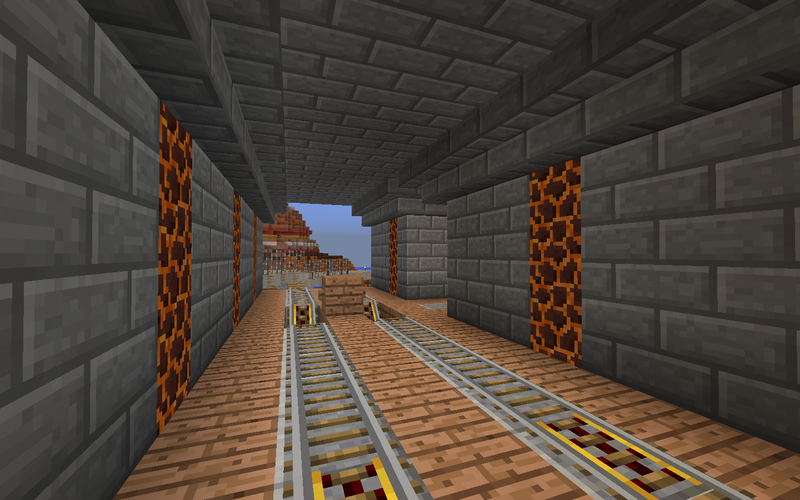 Looks good, definitely digging the Magma Block lights. Yeah, I thought we had a 1.9 updates/screenshots thread too. I'm in favor of creating one. 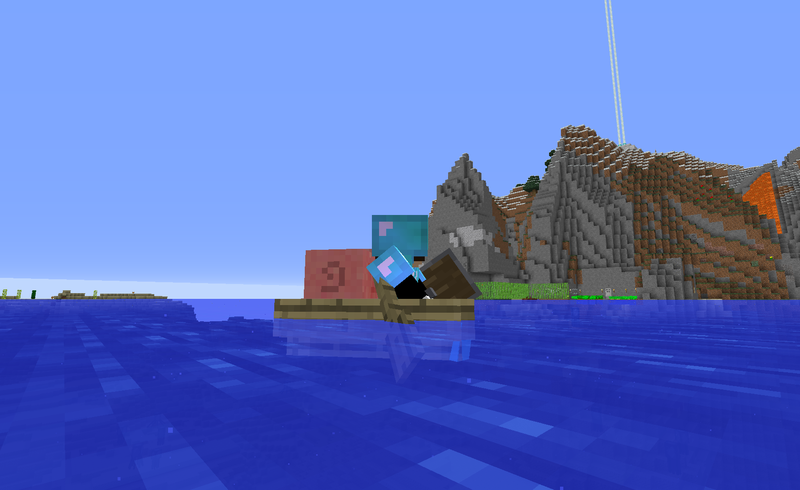 The magma blocks were LittleMoonBeam's idea, so thanks LMB! Great work, guys; I'm glad that the rails got extended further! Is that supposed to be a station in there? If so, I'd love to work with you to expand that into a full-sized station that's also accessible from the outdoors; on the other hand, the station for that area appears to be outside Arcadia, and it would probably make a lot of sense to have a walkway from that station to your front door. We're trying to avoid having small stations inside each person's domicile, and stick with neighborhood stations that serve areas. I was actually thinking about a three-way split. Before we decided to move the Arcadia station and run the rails through Ivoah's mountain instead of that sketch around the mountain I had put together, I was planning to split next to Ivoah, go West towards all the northwest settlements with one, then dive onto the ocean floor with the East branch. At that last large sand island before the expanse of ocean, there would be an underground station where it would divide again, with one branch heading straight north on the ocean floor, eventually emerging and going back aboveground to points north, the other staying on the ocean floor across the ocean, with a station near my skyscraper (but not in it, as per what I said in my preceding post, then next one aboveground at the East side of the ocean, relatively close to Rivereye. Then, it would head south from there, linking up with your East rails. 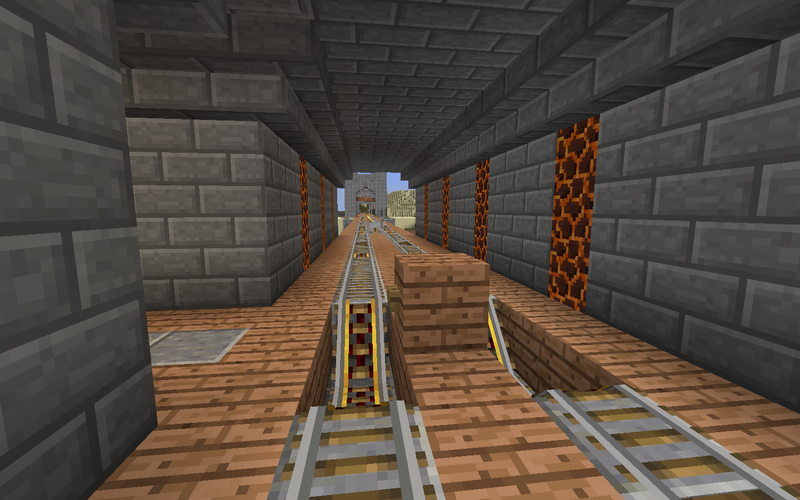 New append to my existing rail system. Instead of a separate line going over the ocean, as shown in the screenshot, I'm building a second level to my station, and a second rail on top of the old one. This one will connect to a friend's place. 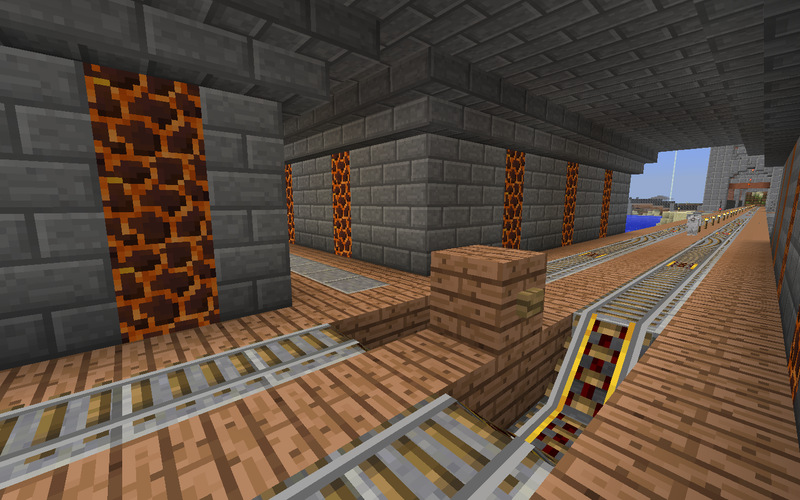 At the first place the main rail turns, there will be a circular junction where riders on the main (spawn) rail can move to my new track, and riders incoming on the new track can switch to the spawn rail, not needing to go all the way to my station to switch. Area in screenshot still incomplete. 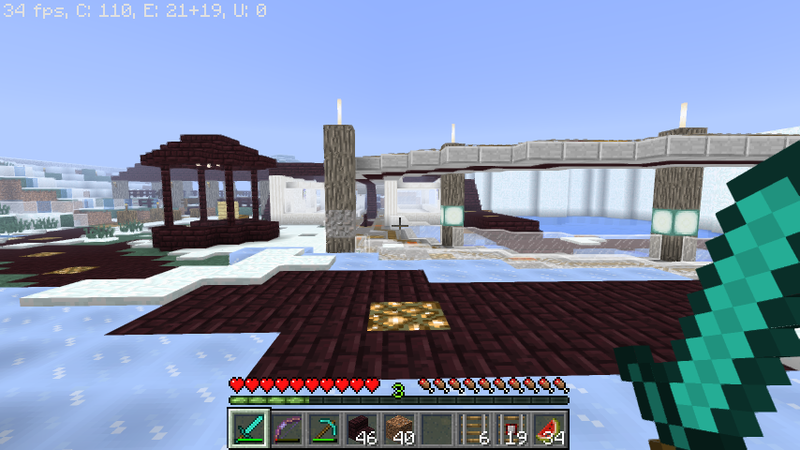 Also in the picture, you'll see something new I made, a well/fishing hole, off to the left. The station area, under construction. Outside view of the station, completed portion of track. If you guys need help laying out railroads, I have tons of related resources in reserve! I'd be happy to help in some way, building or supplying. Also, because players seem to be getting elytras, I added a runway and landing pad at about y=190 to my town. It is the top floor of the newly redesigned elevator... *cough* ladder *cough*. 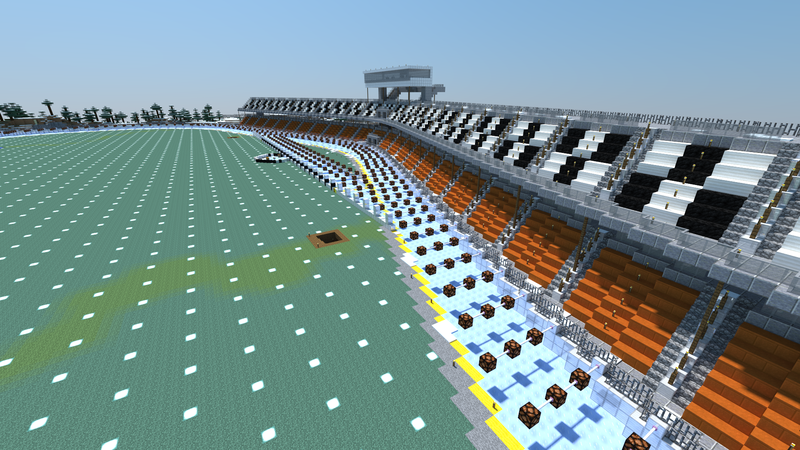 Skyboxes! Depth of field! Multiple camera types! Sunlight position and intensity! Clouds! Water transparency! If anyone wants me to do one of their base, feel free to ask! Man, the more I look at these the more I expect to see some blur - DEPTH OF FIELD - in the background. I'm gunna have to see if this plugin has a macOS variant cause I really wanna play with it now. There are 203 users online: 2 members and 201 guests. 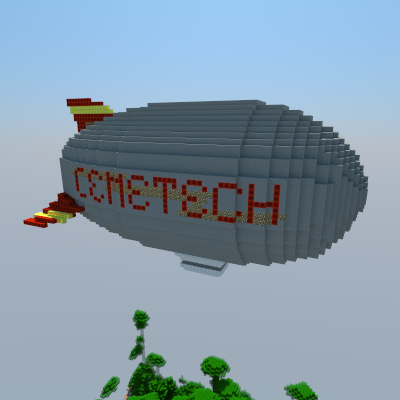 © Copyright 2000-2019 Cemetech & Christopher Mitchell :: Page Execution Time: 0.183734 seconds.